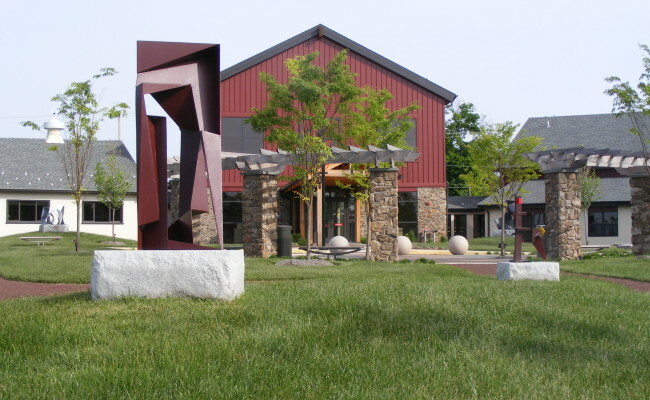 The landscape architects of CMC Engineering were commissioned by Montgomery County Community College to provide landscape architectural design and construction administration services for the Award-Winning Art Barn Expansion and Sculpture Garden project, located in suburban Philadelphia. 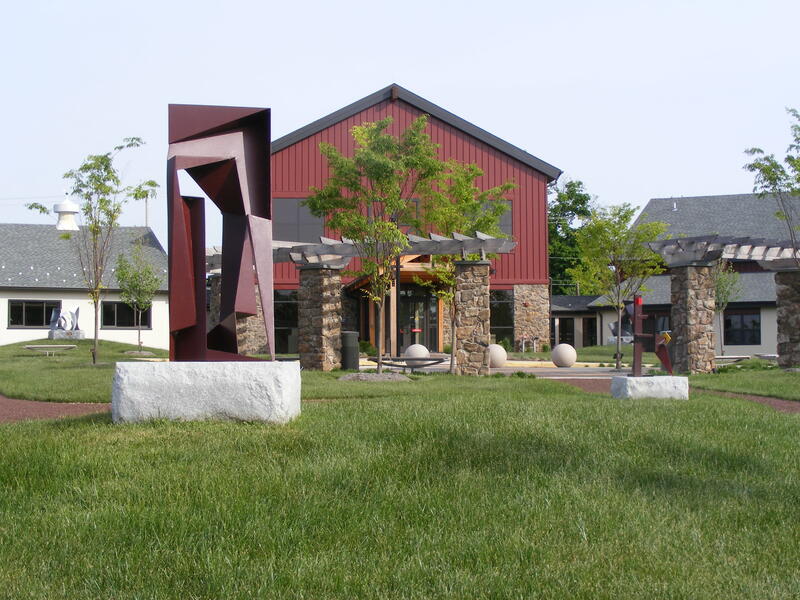 The creative site design solution blends and accentuates the expansion of the barn-style art education facility. 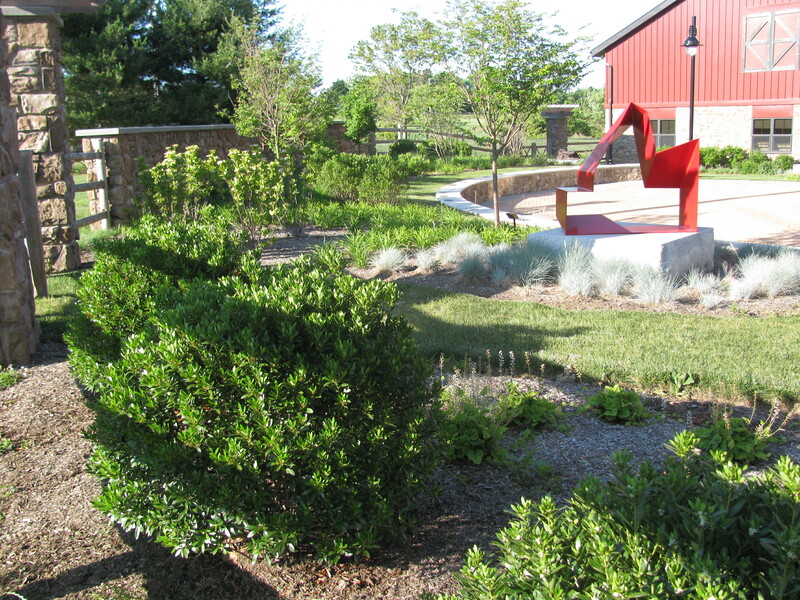 A significant sculpture collection is seamlessly incorporated into landscape, enhancing the aesthetic value of the sculptural element. 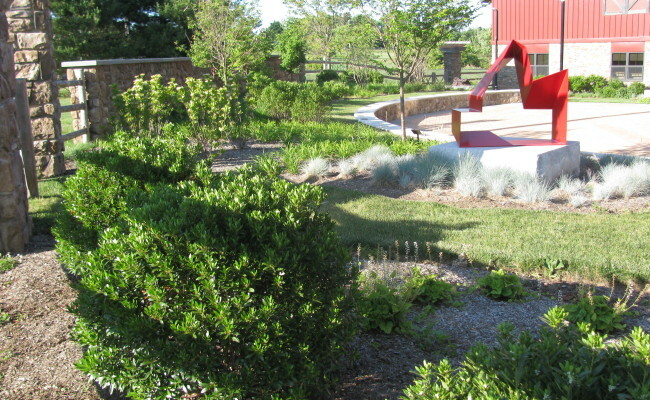 The design enables the educators and students a variety of opportunities for social and educational interaction in an artistically engaging landscape.